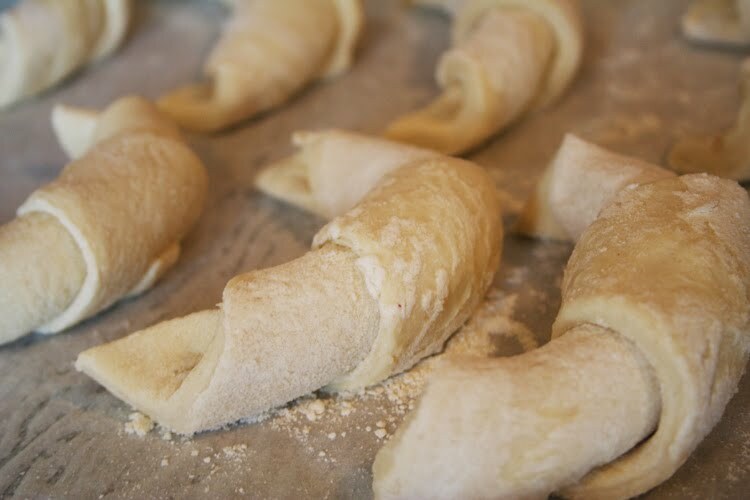 The pinacle of The Art of Baking Bread came this morning in the form of croissants. 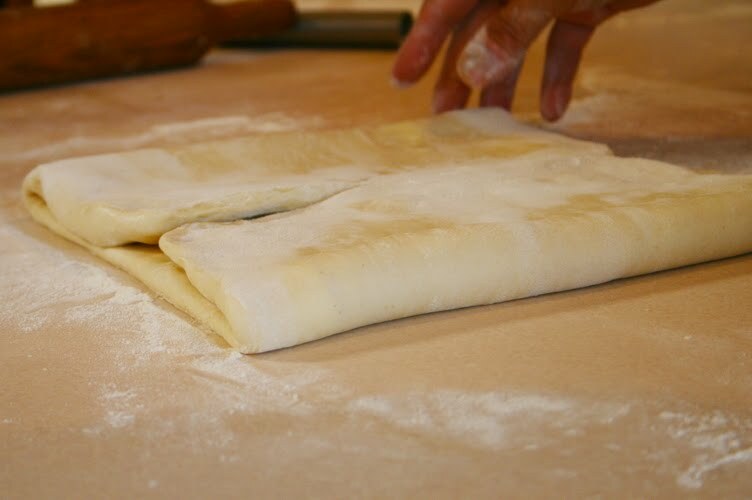 After just a few minutes of reflection on the cinnamon rolls of the previous day, we immediately set to work on our croissant dough. In preparation for the croissants, we pulled our starter from the refrigerator the evening before and added some white flour and water (slightly more flour than usual) to allow the starter to begin it's work. 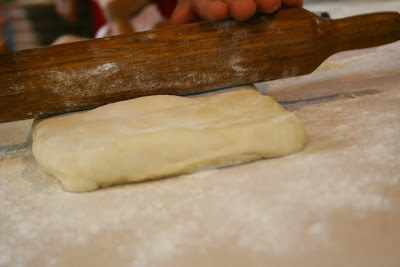 We also added some ice to the dough to keep it from growing too quickly since croissants need to start a bit denser than other breads. 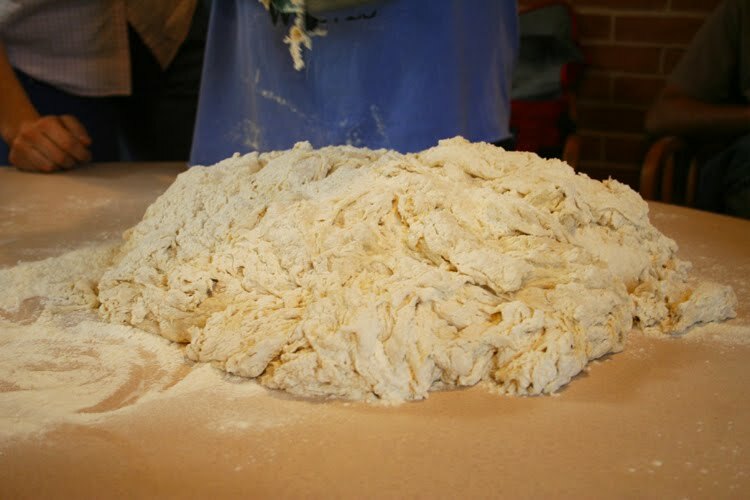 This morning we began with our large blob of dough and group knead. Then we rolled our dough into several rectangles. 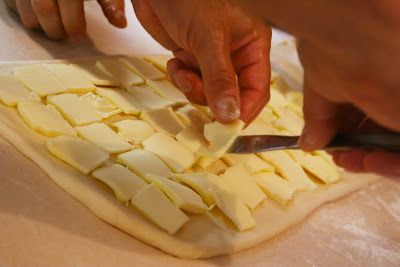 And added the chilled butter! Each rectangle was 1 kg of dough and to each kg of dough, we added 2 sticks of butter, sliced and placed over two-thirds of the dough. 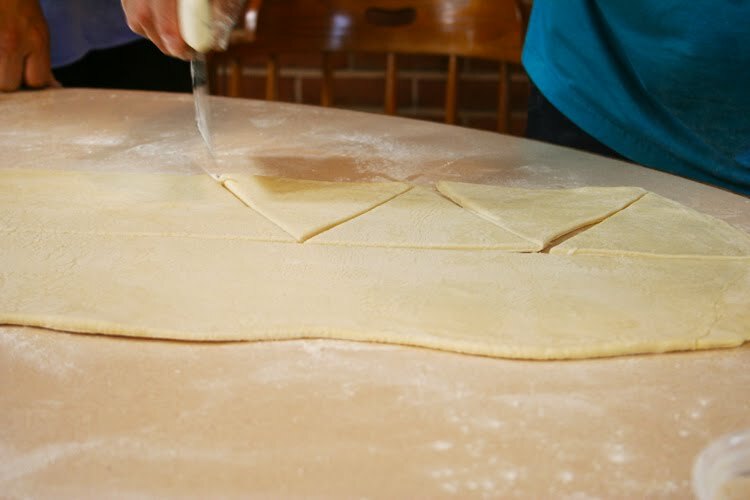 And those two-thirds were folded over the final third and the edges were sealed with the dough (don't want to lose any butter!) 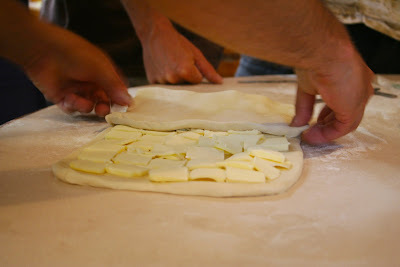 We now have small rectangles of dough with 2 layers of butter. After chilling the dough, we rolled it back into a rectangle in the opposite direction, taking care not to let any butter pop through the surface. 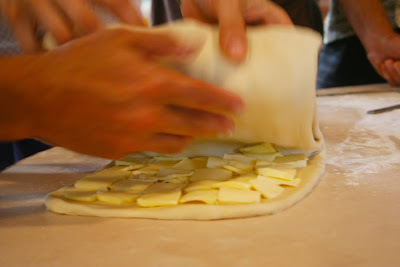 The dough was then folded in quarters toward the center (4 layers of butter). And folded again to make a rectangle (now 8 layers of butter). 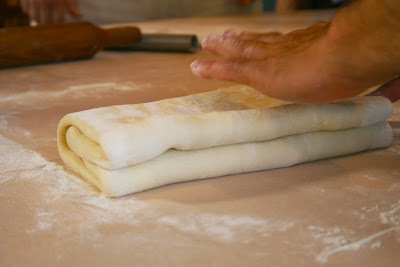 The dough was chilled then rolled out again in the opposite direction and folded in the same manner as before (making the desired 32 layers of butter). After another chilling, we rolled the dough into thin (1/4 inch wide) sheets. Each sheet was then halved and cut into triangles to make croissant shapes. Then rolled and placed on a tray. Golden yellow and flaky. Magnifique! 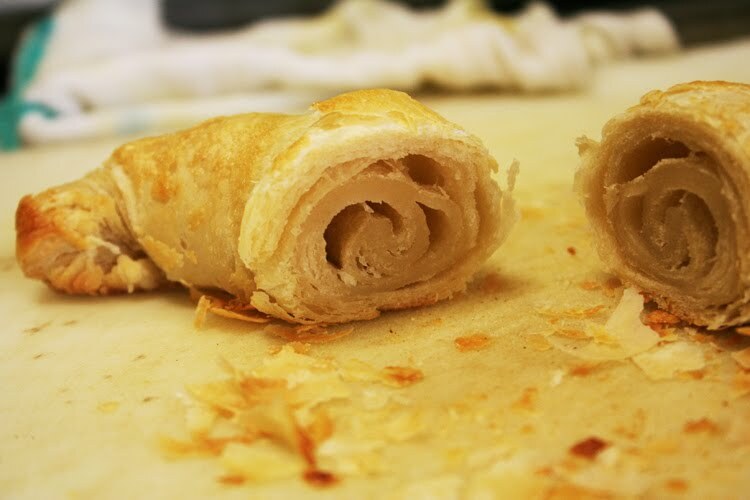 Now, have you ever seen such a pretty croissant? I'll do my last post on my time here at the Institute tomorrow and try to answer some of your questions, including some information about my teacher and recommending some bread books. WOW! I mean that's a lot of butter! What an interesting process though, I had no idea. Thanks for all of these posts Joy! 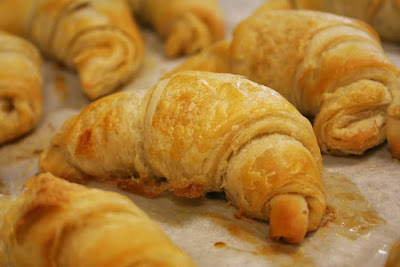 I love croissants so much--- and now I know why, BUTTER. A lot. 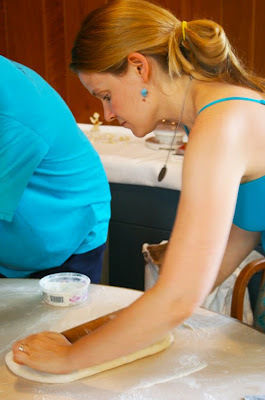 WI saw a small error that could lead an eager baker far astray. 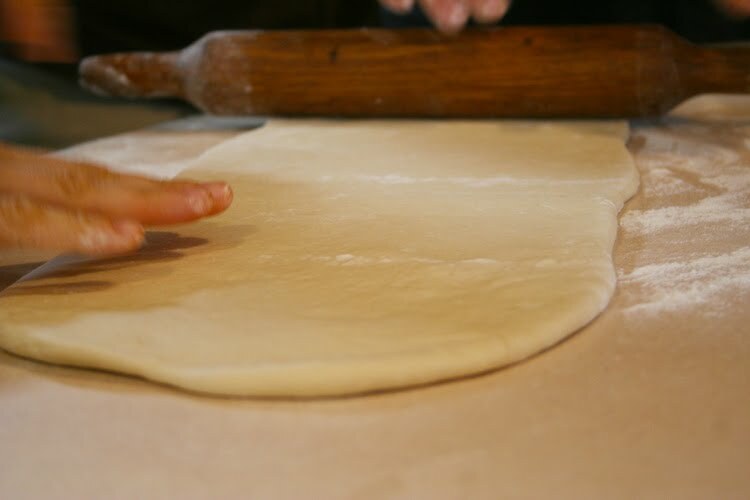 We used 1kg of dough not 1lb. Thanks for the great documentation! Oh I would so love to make these but I have always avoided trying because of how long a process it seems. They turned out wonderful! What a great class this is and I am sure your children are going to enjoy all your new skills too. Now I know where all the yuminess and calories come from. 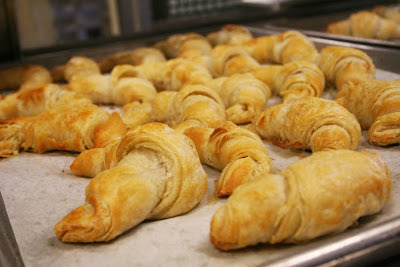 I love croissants nothing beats a warm croissant! !